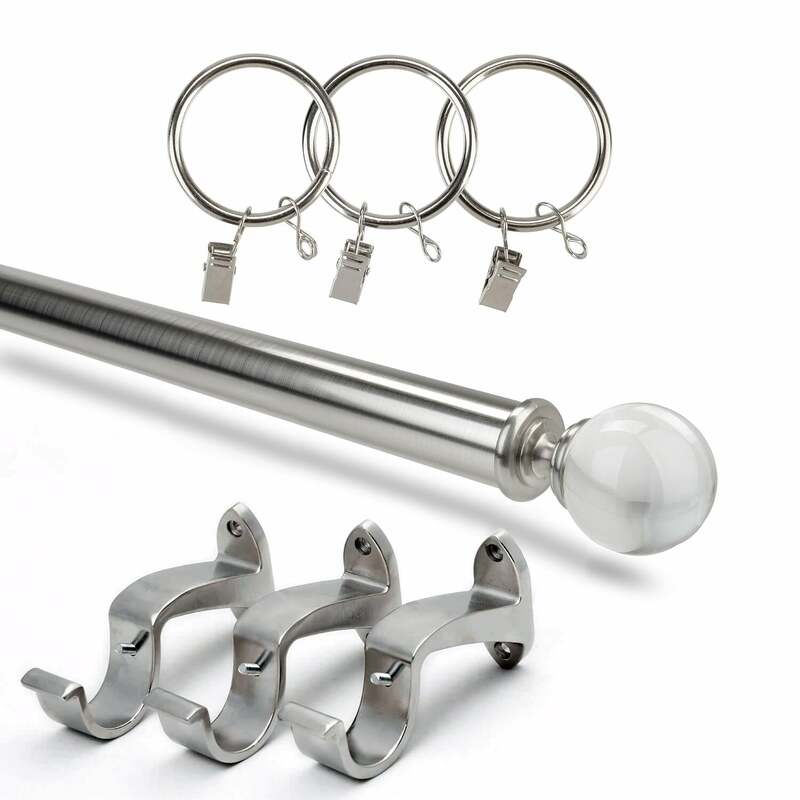 This Brushed Nickle rod set features 3inch ball finials for a bold, modern statement in any room. 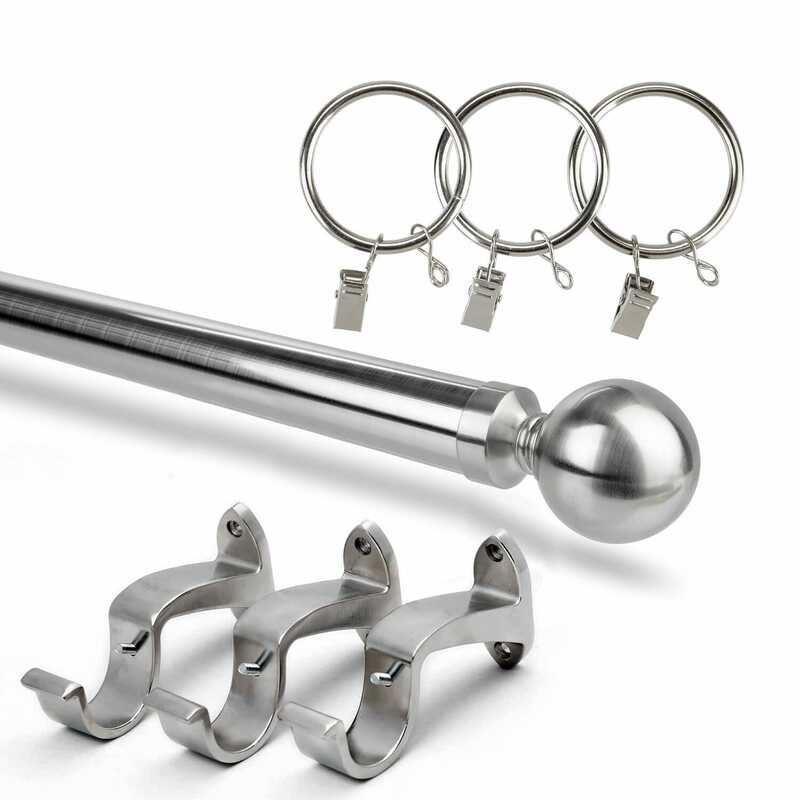 The sturdy 1 1/2 inch diameter rod set is available in 2 sizes. 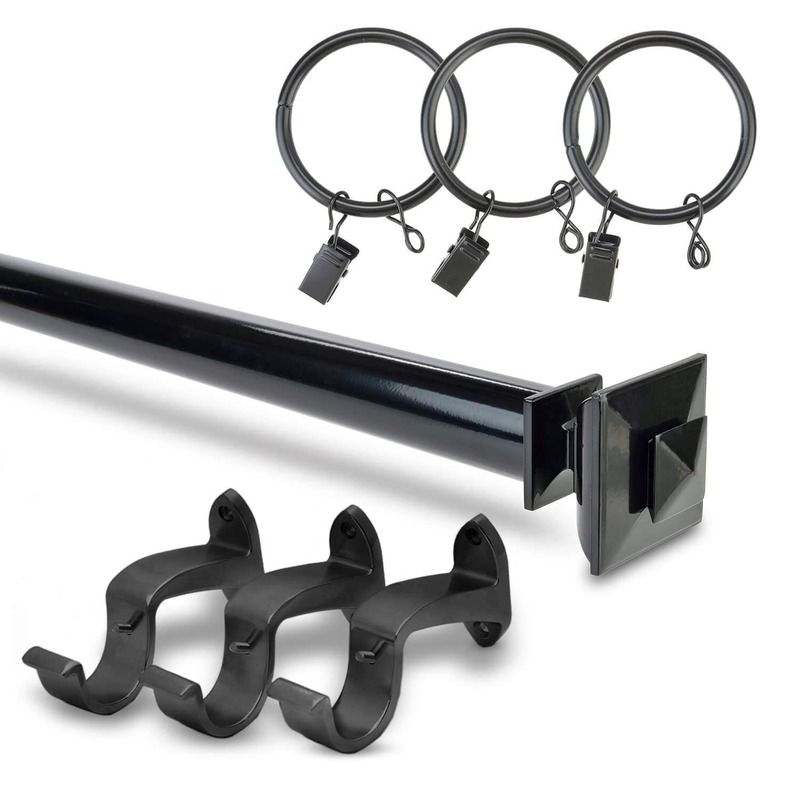 Set includes Finials, Brackets, Rings and Mounting Hardware.